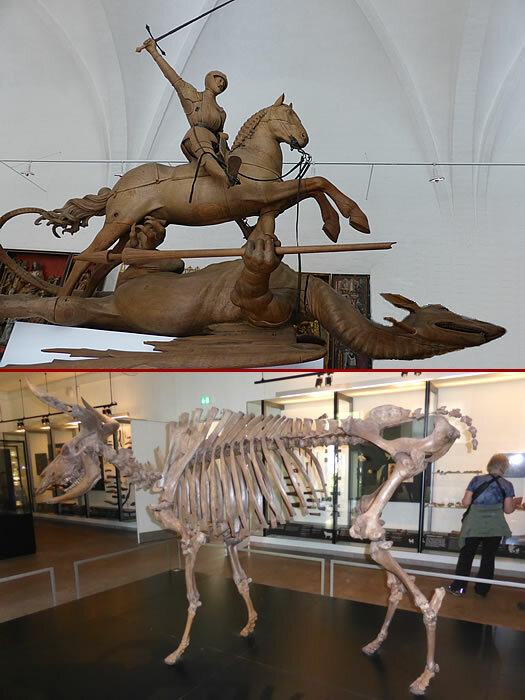 More photos from Denmark's National Museum... a lifesize wooden carving of St George slaying a dragon... a reconstructed skeleton of a 1000kg Auroch, the last of which died out in Poland in 1627. Aurochs migrated to Denmark after the Ice Age around 9000BC but were extinct in Zealand by 6000BC. This skeleton in dated around 8600BC.